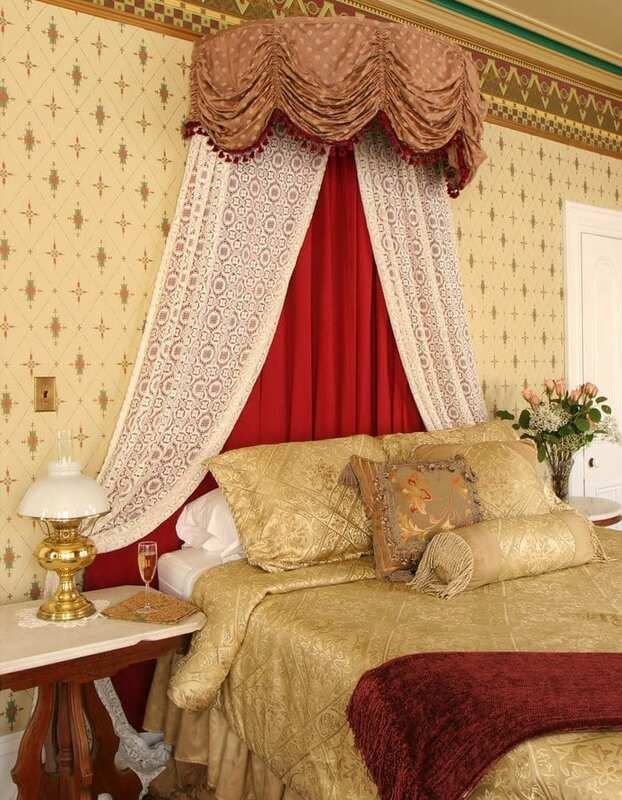 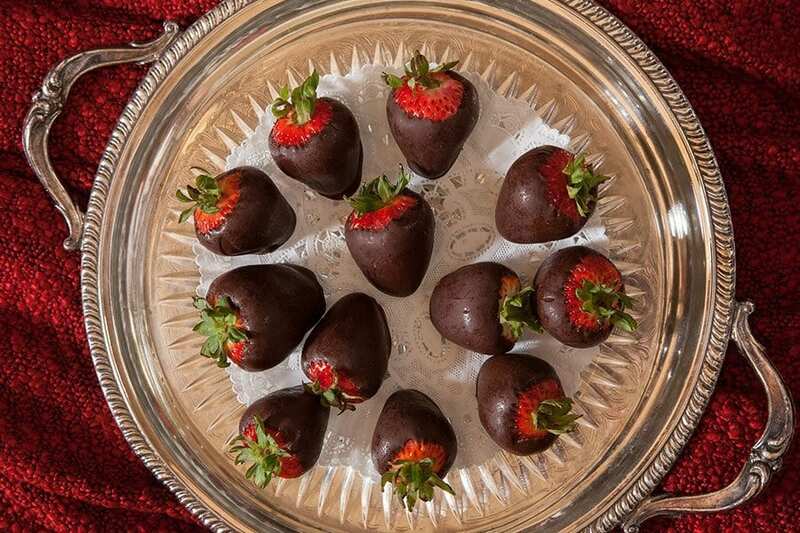 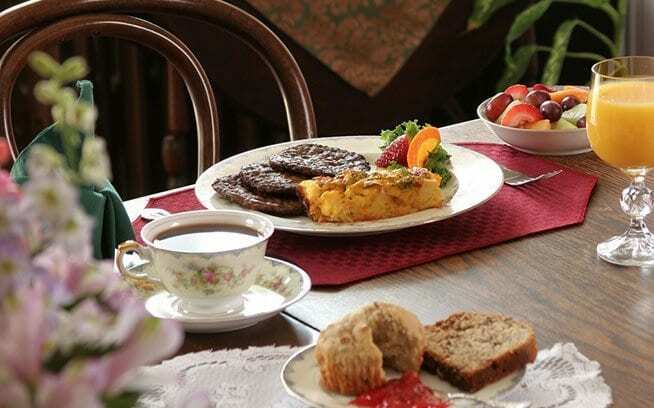 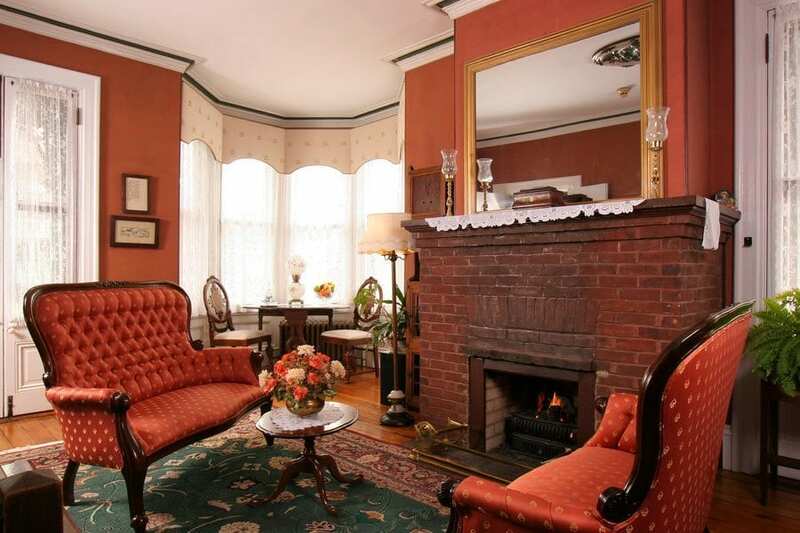 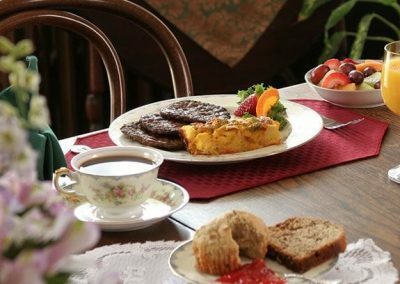 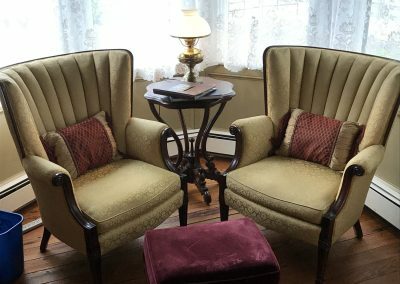 The Queen Victoria is Cape May’s premier bed & breakfast. 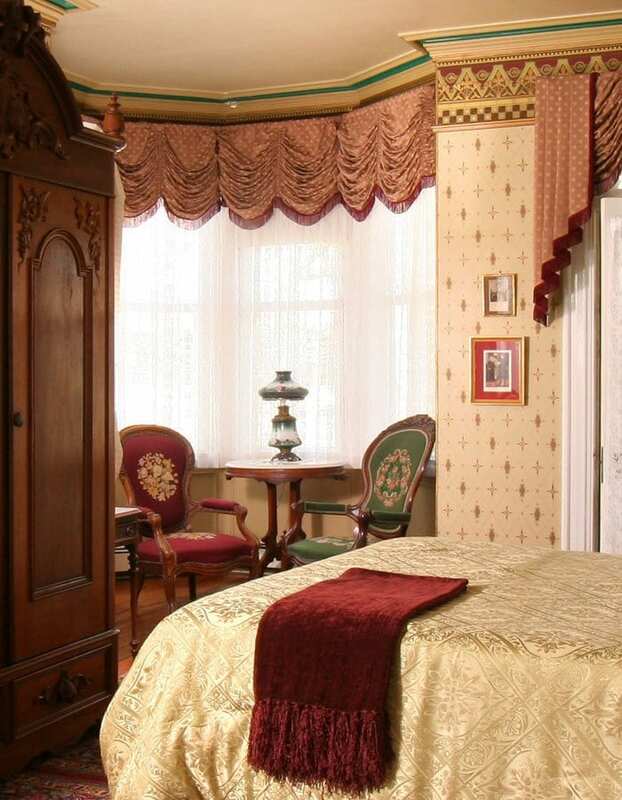 This beautiful premium room at our bed and breakfast is considered by many to be our “showcase” room, named in honor of Queen Victoria. Originally one of the parlors of the house, it boasts 11½ foot ceilings, original plaster crown moldings and a wonderfully large, bright bay window sitting area. 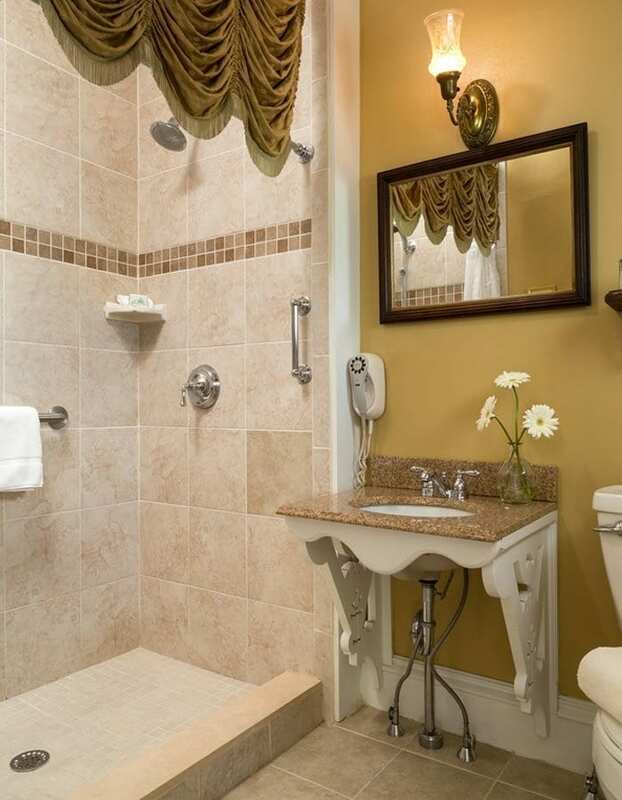 This large room is decorated in royal Victorian fashion and boasts a large and luxurious two person, two head shower in its private bathroom. 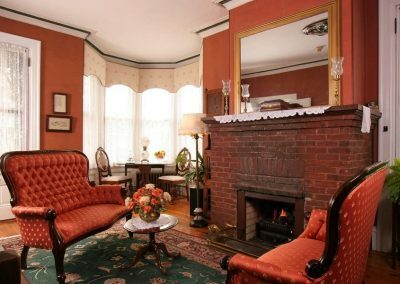 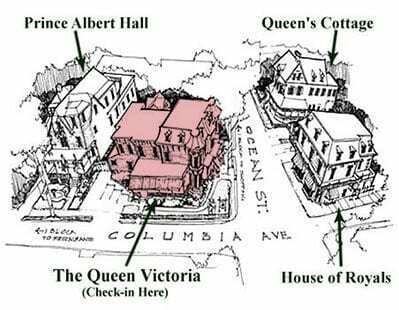 The Queen Victoria room is located on the first floor of the Queen Victoria building and has direct access to the relaxing front porch. 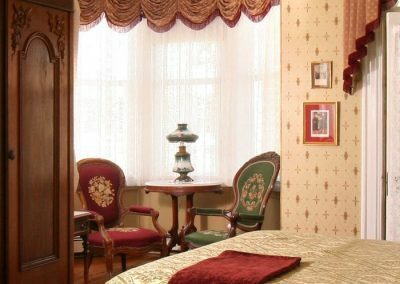 Once our guests stay in the Queen Victoria room, it often becomes their room of choice each time they say with us. 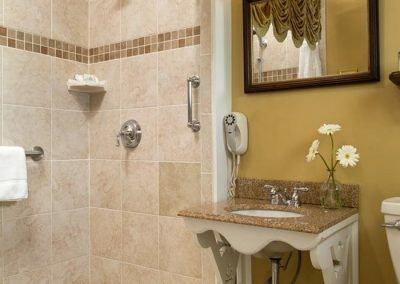 Complimentary wireless internet, individual climate control (heat & air conditioning), a refrigerator, a TV with DVD, a hair dryer, and an iron are provided for your convenience.